The leading homeless charity said that without this intervention, an additional 1,637 adults and 1,477 children (1,373 households) would be forced to resort to emergency accommodation. Resettled 1,006 adults and 1,028 children (797 households) out of homelessness and into homes in 2017; a 35% increase on the previous year. Our Prevention and Tenancy Sustainment teams worked with 631 adults and 449 children (576 households) to prevent them from loosing their home; a 28% increase on the previous year. Provided treatment services to 694 people; a 24% increase on the previous year. 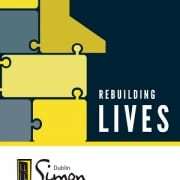 Speaking at the event, Sam McGuinness, CEO of the Dublin Simon Community, said that the organisation has been vigorously working to move people out of homelessness, while also preventing more individuals and families from becoming homeless in the first place. Mr. McGuinness continued to emphasise the need for additional housing to continue this work and to significantly reduce the number of people who are stuck in emergency accommodation. He also said that housing alone is not the only answer. Dublin Simon Community increased their service provision by 22% in 2017 and provided services to over 6,285 people and families across Dublin, Wicklow, Kildare and Meath. In 2018 they expanded their service into Cavan, Monaghan and Louth. 1,373 Households were prevented or moved on from homelessness through our sustainment and resettlement services: a 44% increase since 2016. 612 Adults and Children were housed in our own units for singles and families: an 89% increase since 2016. 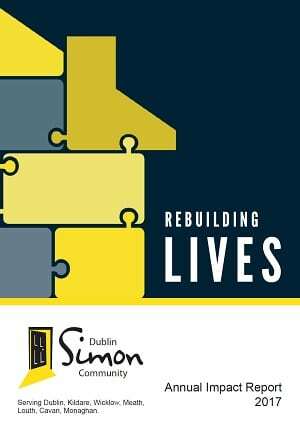 111% increase in the number of Dublin Simon Community housing units in the period. 205 people lived in our permanent supported housing receiving assistance with life skills, health and welfare, education and training: 17% increase since 2016. 684 people were provided with Treatment services: a 24% increase on the previous year. 2,250 Hours of 1:1 counselling and mental health support were received by clients accessing Sure Steps Counselling: a 5% increase since 2016. 665 GP consultations took place at the Mobile Health Unit, in partnership with Safetynet Primary Care. 1,533 People were provided with housing assistance, harm reduction and medical services by our Rough Sleeper Team. Soup run contacts averaged over 600 per month. 482 People expanded and developed their skills and education, with 60 people coming through our employability initiatives: 84% increase since 2016. You can see our full Annual Report here.